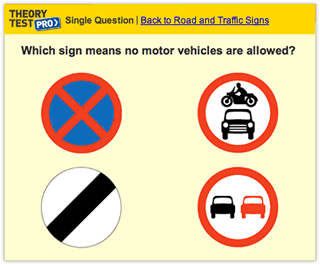 Theory Test Pro is a highly realistic online simulation of the UK’s driving theory test. It contains the official practice test question bank, hazard perception video clips and an online version of the Highway Code. All this material is licensed from the Driving Standards Agency (DSA), the people who set the tests. Access to Theory Test Pro is completely free for Welsh residents who call in to any Welsh local authority branch libraries. Public library members in Wales can also access Theory Test Pro from elsewhere by using their library card number and logging in directly. 1. When you first use Theory Test Pro, you will need to register with your name, email address and password. This information allows Theory Test Pro to save your test scores so you can follow your progress as you practise for the test. 2. You will need a valid email address to sign up for Theory Test Pro. 3. If you sign up from home or anywhere else outside of the library, you will also need a valid Welsh public library barcode number, available on your library card.